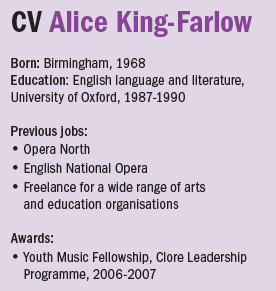 Four years ago, Alice King-Farlow set out to buy a book for her young niece. She wanted one about theatre and how it is created. She couldn’t find one. “So I thought we’d better write one ourselves here at the National Theatre,” she says. The result is a beautiful, highly informative book about every aspect of the theatremaking process. 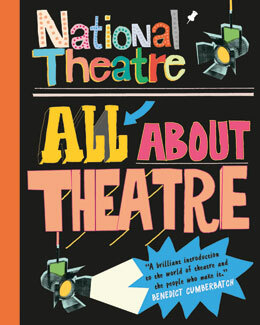 All About Theatre is published by London’s National Theatre and Walker Books this month, and really should be on the Christmas list of every child over 10 who is interested in theatre. 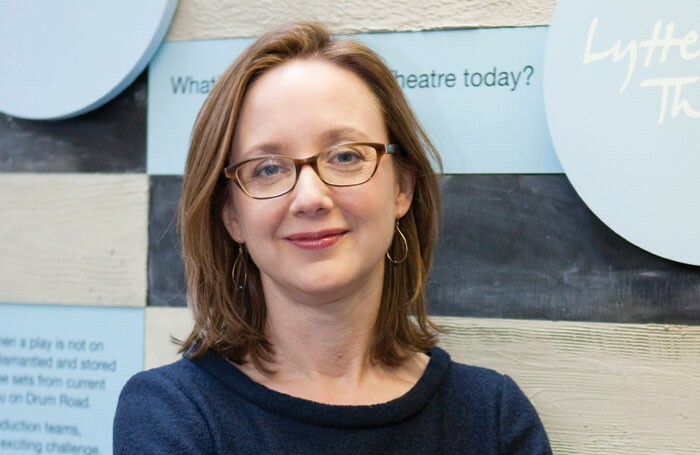 Six years into her post as the National Theatre’s head of learning, King-Farlow is a breathlessly busy enthusiast for finding ever-more innovative ways of increasing the National Theatre’s “reach”. The new book is a glowing example. 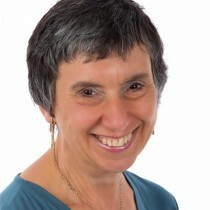 She describes it as the need to “get out beyond London and inspire”. And she is hoping for, and looking forward to, even more community work soon, because that’s a passion of the new NT director, Rufus Norris. So where do the ideas come from about learning activities? “From my team, who are all brilliant, from shows, from talking to artists and practitioners and from many other sources,” she says, adding that, for example, the recent conference about the transformational power of theatre on October 14 was a direct spin-off of the current NT production of Our Country’s Good directed by Nadia Fall, one of the speakers at the conference, along with Timberlake Wertenbaker and Rufus Norris. On Demand in Schools is a new project to take NT productions to schools far and wide. “They can access filmed live performances free in lessons, scene-by-scene if that’s what the teacher wants. We’ve made it as flexible as possible, using technology provided by Frog,” says King-Farlow, who is delighted that more than 1,800 schools have signed up and 540 of those used the service within the first week. Then there is the annual Connections festival that marks its 21st year in 2016 and promises to be truly celebratory. Schools and youth groups sign up to perform specially commissioned plays in regional professional venues, the best of which are picked to take part in a grand finale on London’s South Bank in May. “This time, to mark 21 years, there will be 12 different plays – rather than the usual six – selected from the 50 we’ve commissioned during the life of Connections,” says King-Farlow. More than 500 schools and groups are taking part in 2016, with more than half new to the project. “And we’ve got over 40 regional theatres on-board for Connections, including Cast in Doncaster and Home in Manchester, both of which are first-timers,” she says. “And it really is nationwide – all points of the compass, from Penzance to the Isle of Man and Jersey.” King-Farlow and her colleagues are very keen to collect experiences and thoughts from ‘Connections alumni’ – people who have taken part and benefited during the last 21 years – and there will soon be a dedicated website to collect contributions. Another ongoing project from the National is Primary Theatre, which takes (mostly) Shakespeare into primary schools. Directed by Bijan Sheibani, Comedy of Errors – in a new seven-hander version by Ben Power – runs in the NT’s Temporary Theatre from October 21 to November 6 before touring London primary schools. “The schools can also benefit from workshops before and after the show,” says King-Farlow. And more than 60 schools are involved in New Views, which is a playwriting programme. Yes, there is definitely a great deal going on in the National Theatre’s vibrant learning department. It is a real privilege to talk to someone so in love with her job and deeply committed to continuous, positive innovation: “The job, which I adore, is about opening up everything we do at the National Theatre and finding as many different ways of involving as many people of all ages, but especially the young, as inclusively as we possibly can,” says King-Farlow.